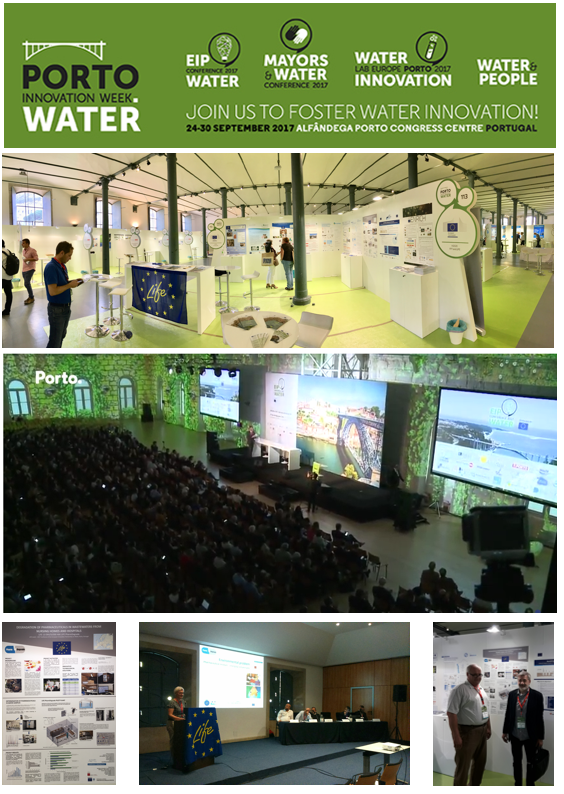 We have presented the LIFE PharmDegrade project in the event “The LIFE programme: funding opportunities & innovative solutions on wastewater treatment” organised by EASME and the LIFE Communications Team during the European Innovation Partnership on Water conference in Porto (26 – 29 September 2017). The project was selected from a pool of recently closed water projects due to its outstanding environmental benefits, level of innovation, economic feasibility and transferability potential. The PowerPoint presentation can be downloaded from the following link: PharmDegrade EIP water Conf 2017 PRESENTATION.